The National Council of Churches in the Philippines (NCCP) deplores the bombing that took place on January 27, 2019 during a Sunday Mass at the Our Lady of Mt. Carmel Cathedral in Jolo, Sulu. These explosions claimed the lives of more than 20 worshipers, including civilians and soldiers around the area, and injuring 112 people as well. It is, one of the deadliest tragedies in recent years. We are distressed by these dreadful attacks on people. We condole with the families of the victims and vow to support their continuing healing and their search for justice. We deem these bombings as acts of terrorism. But they should not give credence or legitimacy to the continuing repression of human rights and intensifying militarization in the region. The heightened alert at the national level should not be an excuse to declare martial law in the country but, rather, it should unite people to be more vigilant in guarding peace, and pursuing it. The persistent and continuing cry for peace in Mindanao calls for solidarity and immense sincerity among churches and the faithful to put their acts together in working for peace based on justice. Even more so, it amplifies the urgent call for the government to deal with peace issues and pave the way in addressing the roots of armed conflict in the area. It is our fervent hope and prayer that peace in Mindanao may be restored. We call on all the faith communities to pray for and be in solidarity with the people in Jolo, especially the victims of the attacks, in a time of intensified conflict and repression where fundamental rights are already at the mercy of the military. The NCCP calls for prayers of healing for those injured and fallen in this tragedy. We call and pray for a serious and impartial investigation so that justice may be attained. 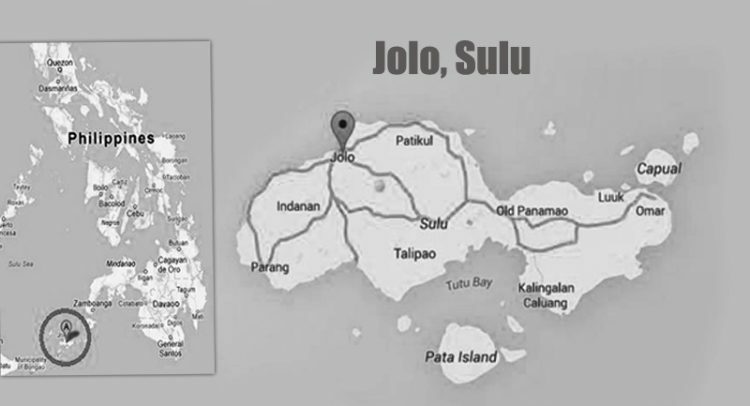 This incident in Sulu, Jolo is a painful reminder that just peace will never be attained without addressing the root causes of the Filipino peoples’ suffering.